Hot Dip Galvanizing is a process that aims to provide protection against corrosion by coating steel structures with zinc layers. This process, used as a coating in industrial, civil, commercial and urban works, is the highest protection against corrosion for any steel product. 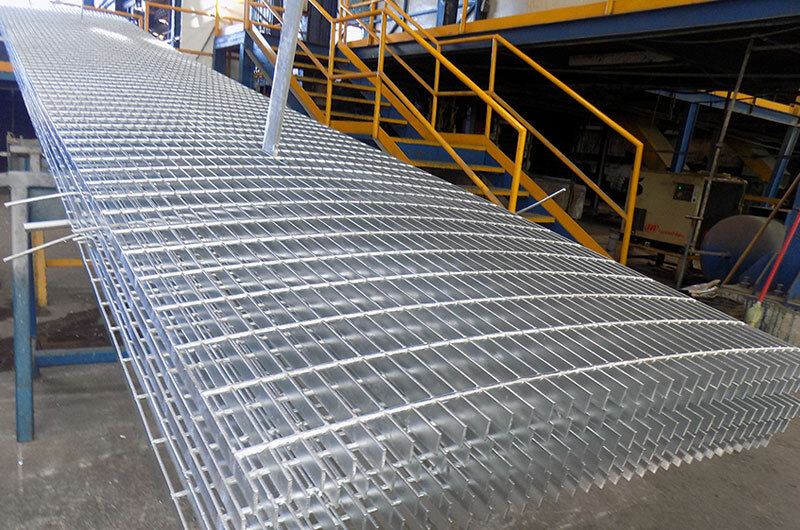 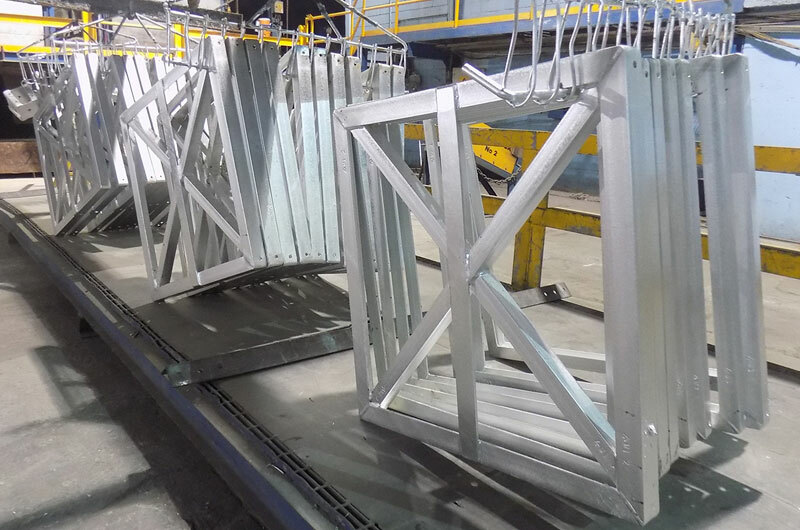 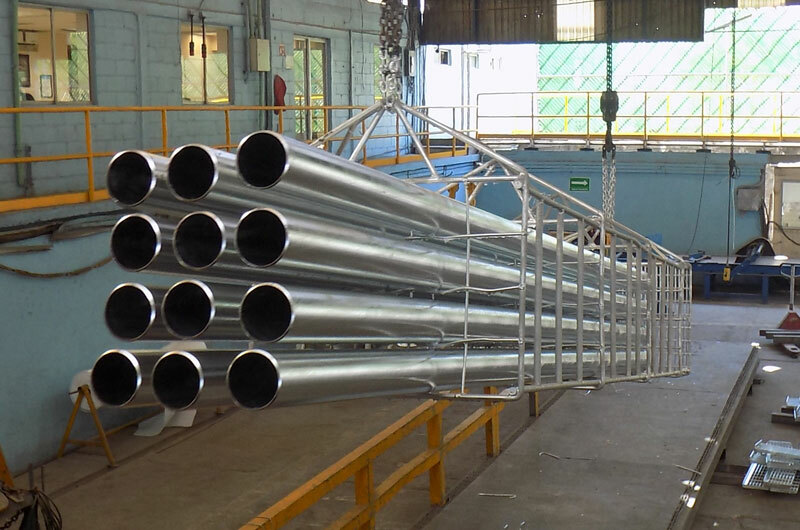 We have a galvanizing plant specially designed to meet the needs of all our clients, where we ensure an efficient and careful handling of materials, optimizing and protecting the quality and physical state of the pieces. 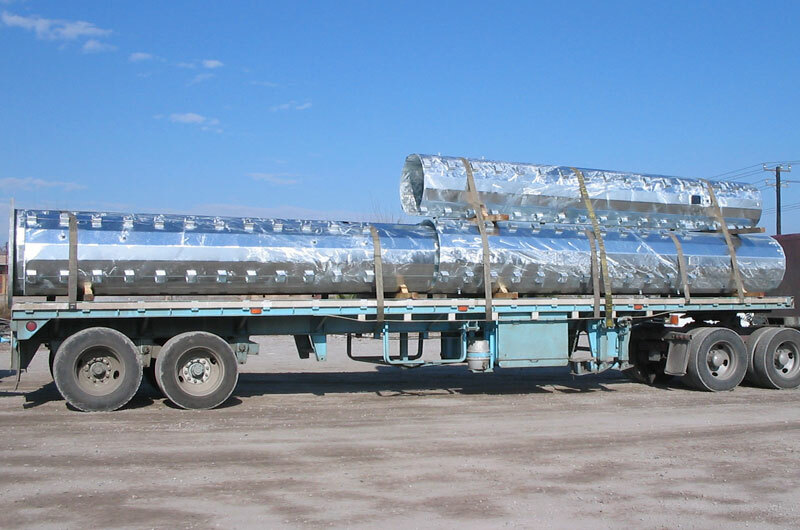 To ensure a long life for the products we galvanize, and keep up to date with international and national (ASTM and NMX) standards and the certifications led by associations to which we belong, such as AMEGAC and LAPEM. 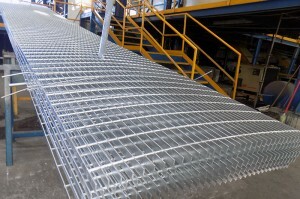 Our galvanizing plant has a production capacity of 24,000 tons per year. 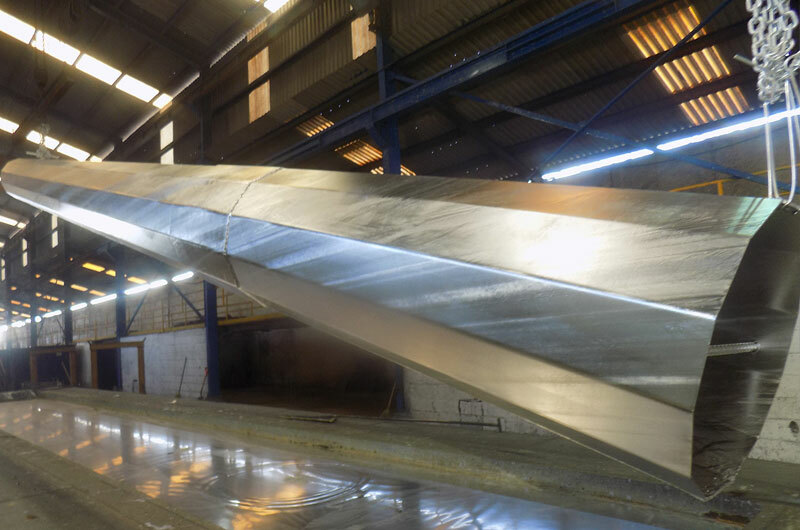 We have a galvanizing kettle of 4.9´ (width) x 9.8´ (depth) x 41.3´ (length), which can galvanize pieces up to 5 tons per immersion. 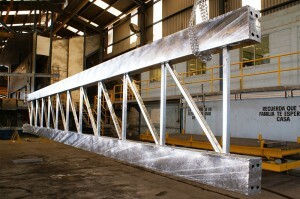 We are members of the Mexican Association of Galvanizers (AMEGAC). 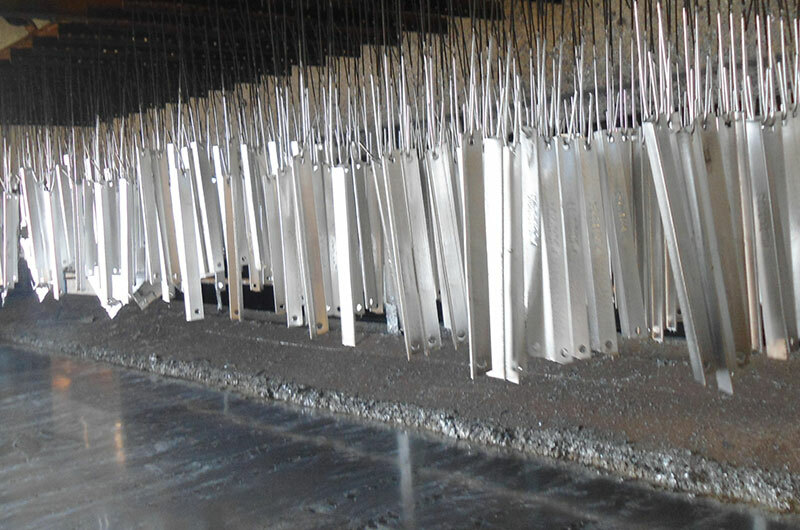 The Galvanizing Process consists in immersing elements in a bath of molten metal composed mainly by zinc. 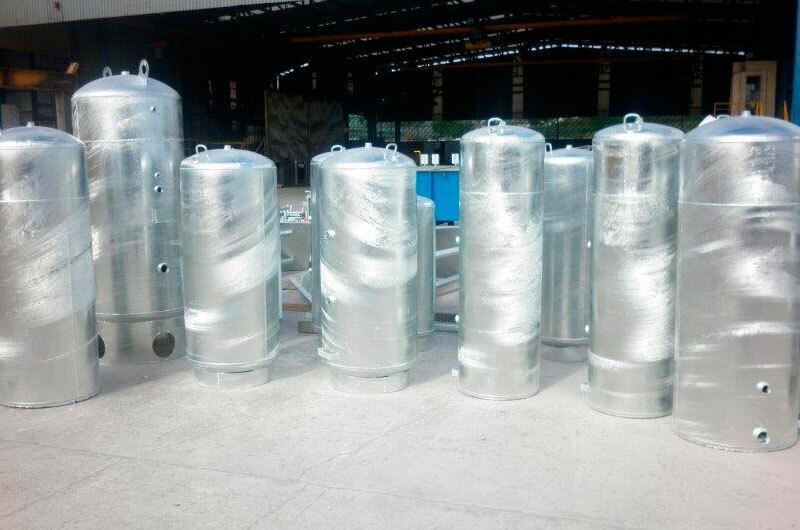 Due to the fact that the pieces are totally immersed in the liquid metal, the surface is completely covered and protected from the corrosive effects caused by the environment. 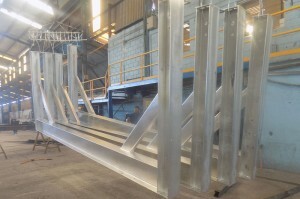 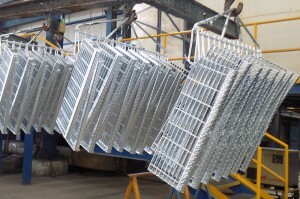 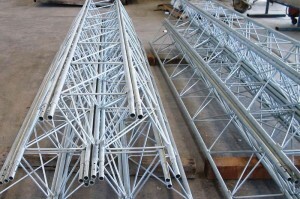 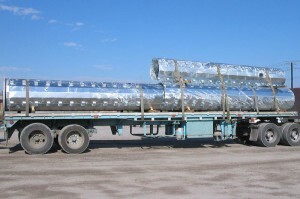 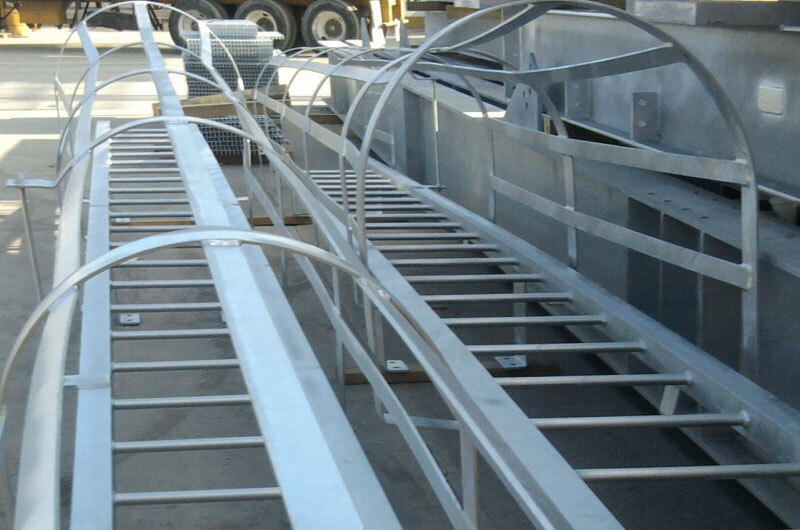 Our Galvanizing service applies to different products of the industry. 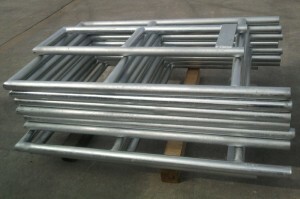 Some examples are: industrial grating, pipes and tubing, angles, beams, channels and railings, among many others. This process is affordable and attractive for the construction industry, since it is an alternative to the use of long lasting, resistant and affordable structures. Standard specifications for zinc coatings (hot dip galvanizing) on iron and steel products. 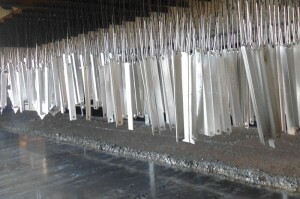 Mexican standard for zinc coatings (hot dip galvanizing) on iron and steel products. 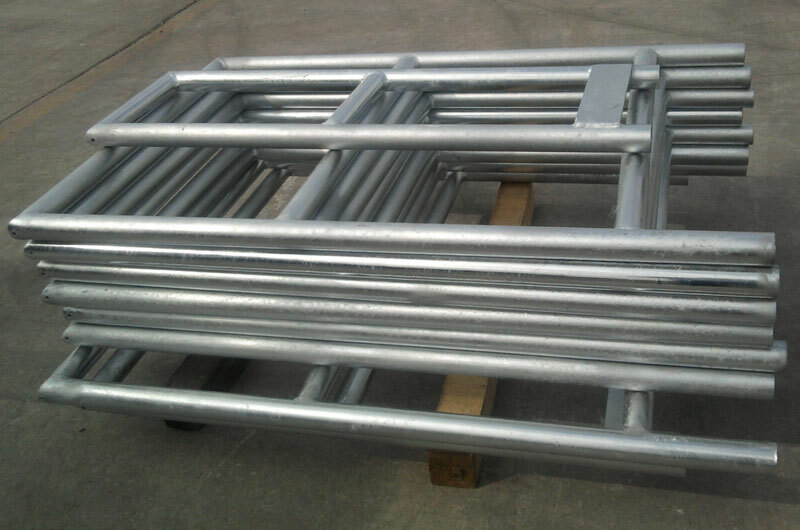 International standard for hot dip galvanizing on iron and steel products. Standard practice to provide high quality zinc layers (hot dip galvanizing). 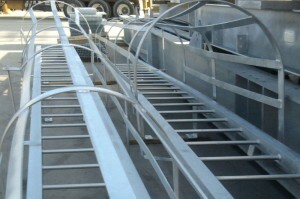 Standard practice for repairing damaged areas that do not have hot dip galvanize coating.